and Deep Purple were at its epicenter. 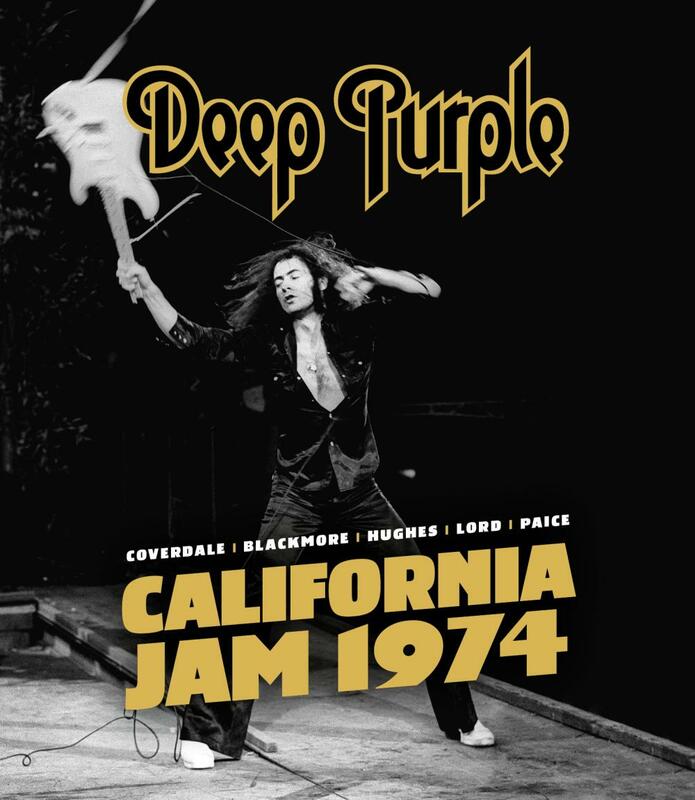 In many ways, the California Jam was the equivalent of the Woodstock festival to a burgeoning generation of hard rock and heavy metal fans. The Jam took place at the Ontario Motor Speedway in Ontario, California on a hot and sunny spring day on April 6, '74. The event attracted an enormous crowd of a quarter-million people and represented a baptism of fire – in more ways than one – for Purple's 'new boys', frontman David Coverdale and bassist/vocalist Glenn Hughes, who in '73 had replaced Ian Gillan and Roger Glover, respectively, to usher in the band's so-called Mk III line-up. Deep Purple were literally on fire during that time: due to some behind the scenes “feud” with the promoter, Deep Purple’s performance was full of fire and fury – no wonder their opening song was “Burn”. At the climax of the show, a still-furious Blackmore trashed several of his guitars and chucked his amplifiers off the edge of the stage. Blackmore also struck one of the cameras with his guitar. The chaos continued when a massive on-stage detonation created an out-of-control fireball – pun most definitely intended. In the midst of all this mayhem there was also some awesome music being created. Purple's set focused strongly on their then-current “Burn” album, the first by the Mk III line-up and only included a handful of songs from the previous Mk II era.